DCU Students’ Union extended the nominations for the Postgraduate Officer by-election until Monday, December 10th. Postgraduates have not had an elected Officer represent them during Class Rep Council (CRC) for the entire semester as the previous officer elected had to relinquish his role in August. “We do not know why the by-election for the position has been delayed until now,” said DCU Postgraduate Society Vice Chair Sean Quinn. The new officer was announced on December 11th, during the fourth CRC. Out of 400 class reps, there are 31 postgraduates reps. As the by-election is taking place at a CRC, “postgraduate students will only have 8 per cent of the say in who is elected their representative,” added Quinn. Therefore undergraduates will be electing the Postgraduate Officer by majority vote. Peter Brennan was elected the Postgraduate Officer during last year’s SU elections however his contract finished with DCU and could not keep the position, according to the DCU Postgraduate Society. He “gave notice of resignation on 10th September, before the academic term commenced, for resignation to be effective on the 24th of September,” they continued. “I think it’s disgraceful. There are so many decisions being made that will affect postgraduates, especially at the beginning of the year by various Bodies, that the position should have been filled as soon as the previous Officer stood down,” said former Postgraduate Officer Allan Stevenson. DCUSU Returning Officer Podge Sheahan emailed the student body of DCU late in November about the by-election. Voting originally closed on December 6th. Sheahan was unable to give a comment to The College View before publication. The Postgraduate Society released an official statement to this newspaper about the lack of representation they get during a CRC. 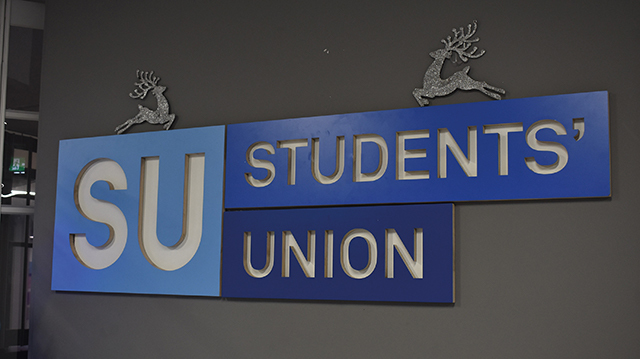 “Postgraduate students represent roughly 20 per cent of the student population in DCU and have only one representative on the students’ union,” the society stated. The Postgraduate Society also provided a screenshot of an email notification about the third CRC, in which it an upcoming postgraduate election would be announced. Class reps were given less than 24 hours notice to attend. The agenda for this CRC did not say this issue would be addressed, “so there was no appropriate opportunity to prepare a motion or query the decision not to allow postgraduates to vote for their representative,” the society continued.